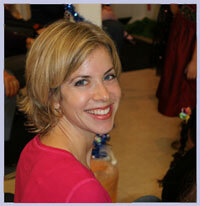 Robyn Soldevilla is a graduate of the University of Miami with a Masters of Education in Mental Health Counseling. Her excellence as an educator showed through as she worked in the Academic Development Center at the University of Miami, leading workshops and helping individual graduate students improve heir study skills and excel in the very difficult task of obtaining a masters degree at a top rated school. Her work has included counseling adults, children and families, in addition to working with cancer patients and their families at the Wellness Community in Miami Florida. ParentingChoice is the result of many years of research and practical application in both psychological and educational theories. Robyn describes her work as a 'patient active' approach, based on educating families in order to deal with the difficulties associated with major life changing events, such as divorce. Her coping strategies for this on-line course were born out of her work as a counselor, a mom and a child advocate. Robyn is a mother of two; she sees the need to make available to parents, classes that help inform and educate on how to parent with awareness. ParentingChoice was created out of a desire to help other parents discover and practice what is best for their child and for themselves as a parent. Our course has been providing parenting classes since 2005 & yes our certificate is accepted by the local courts! The certificate is included in the cost. Once you complete the class, you can download it immediately! You can register right now but start the class any time you wish! Online class is available 24/7 Take the class any time from any internet connected device. With ParentingChoice.com, each section consists of reading, audio, video and interactive lessons which cover topics as requiired by state law.